The paper napkins are disposable black and white napkins with floral decoration. These black and white napkins with floral design are classic napkins. The napkins with floral decoration are elegant napkins. These black and white colored napkins can be arranged in different ways to serve also as decoration for your table or buffet. The black and white paper napkins come in a pack of 20 paper napkins. 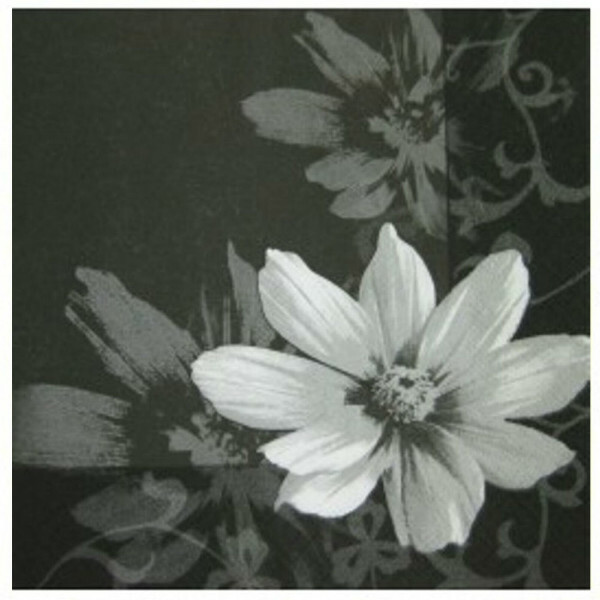 A box napkins contains 12 x 20 black and white napkins with floral impression.